Today I placed my S&W .357 Revolver on the table right next to my front door. I left 6 cartridges beside it, then left it alone and went about my business. In fact, it hadn’t even loaded itself. Well you can imagine my surprise, with all the hype by the Left and the Media about how dangerous guns are and how they kill people. Either the media is wrong or I’m in possession of the laziest gun in the world. The United States is 3rd in Murders throughout the World. But if you take out just 4 cities: Chicago, Detroit, Washington DC and New Orleans, the United States is 4th from the bottom, in the entire world, for Murders. This is the cover of the book I am publishing of my Uncle Jerry McGovern’s poetry with In Memoriam poetry written by me in his memory. 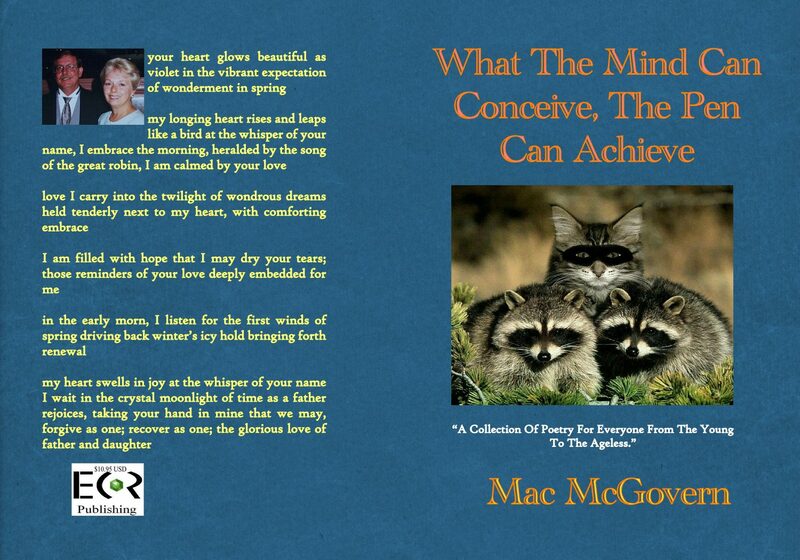 Jerry wrote some wonderful poetry and I cannot thank Cheryl McGovern enough for helping make this book possible. Look for it around Christmas. I will post the date on here and notify family and friends. I am going to price the book at cost plus shipping for family and friends.